Showing results by author "Neil F. Fiore Ph.D"
How to Stop Stalling and Start Achieving! 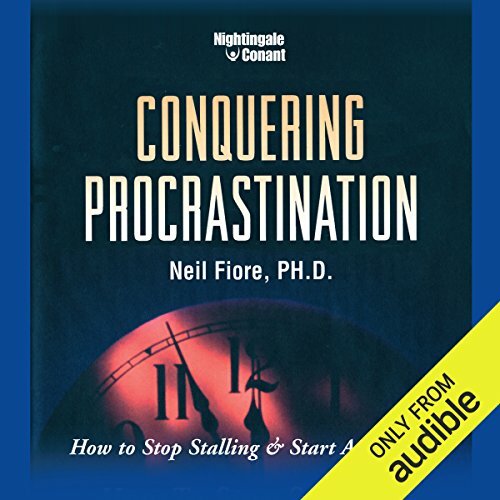 By: Neil F. Fiore Ph.D.
Conquering Procrastination: How to Stop Stalling and Start Achieving has the solutions to defeating procrastination and making time a positive force in your life. Dr. Neil Fiore helps you recognize the three fears most commonly at procrastination's core - fear of being controlled, fear of being judged, fear of missing out on the good things in life. By learning about them and understanding them, you can put them to work for you and not against you.